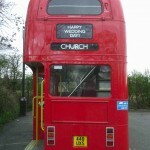 The bizarre weather hasn’t stopped the usual Spring Wedding activity, thank goodness. 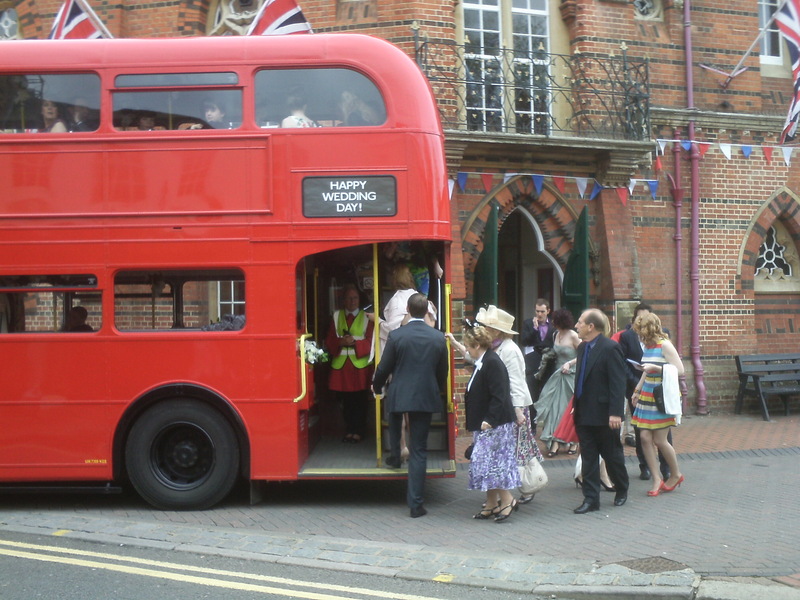 So far, although the temperature might not have been spring-like, at least the rain has stayed away from celebrations so far! 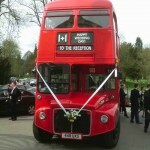 Here’s some photos of March, April & May occasions. 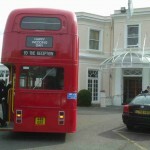 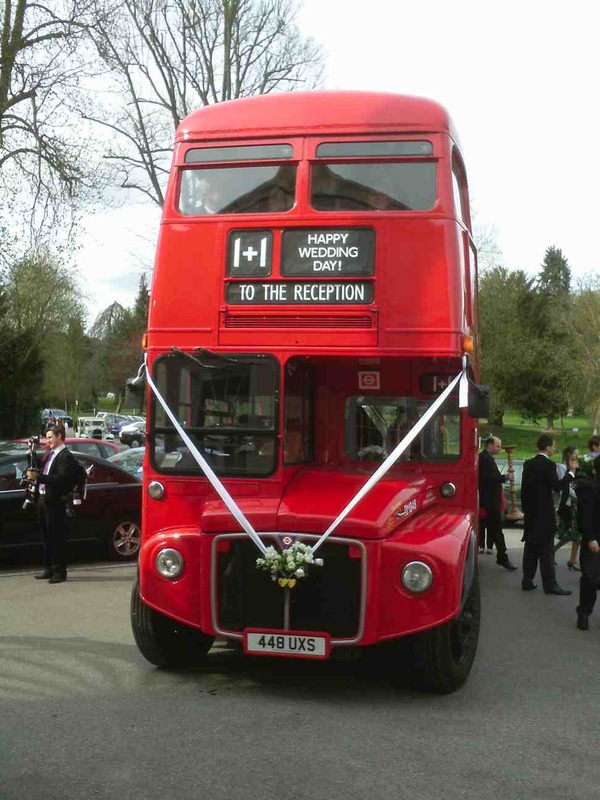 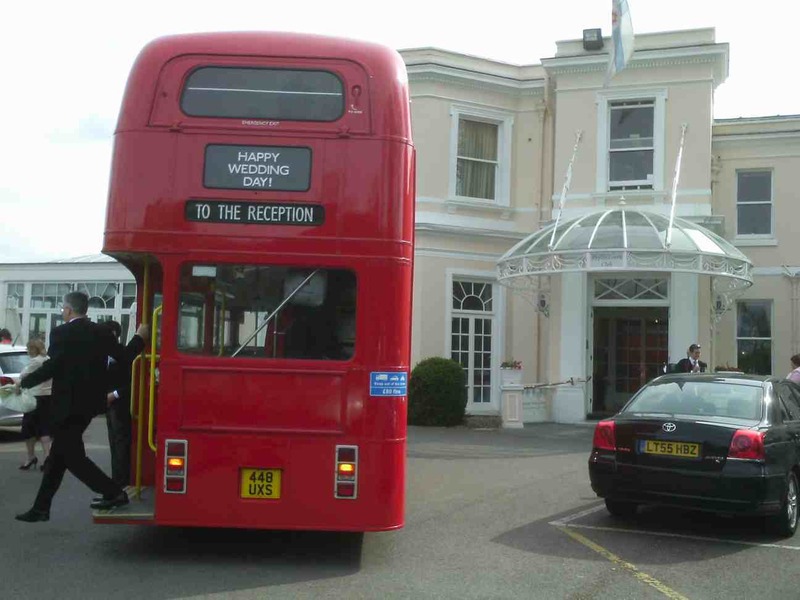 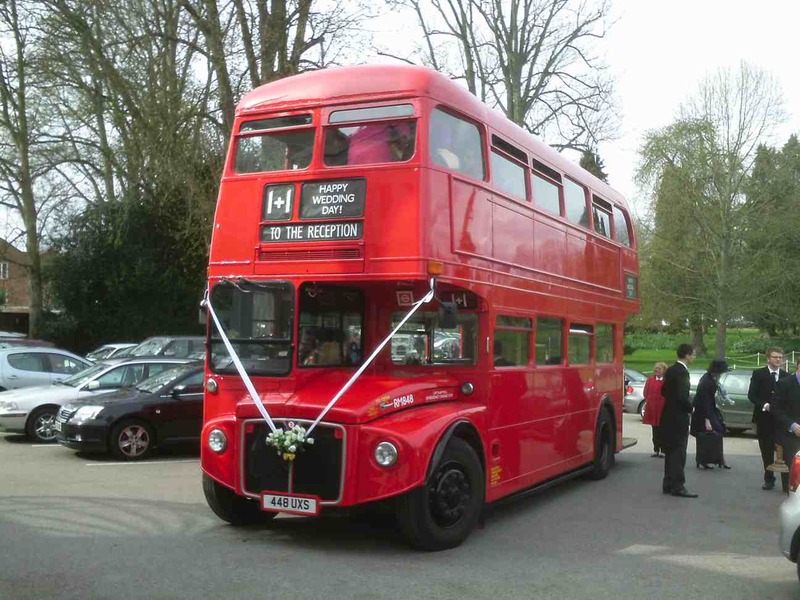 A sunny April 14th saw us on Wedding duty to and from Phyllis Court, Henley, and Lincoln College Chapel, Oxford. 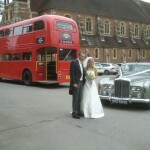 After several days of downpours, May 5th at least stayed dry for our Wokingham Town Hall Wedding. 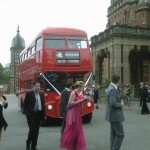 The reception venue was the impressive looking Bearwood College, in nearby Sindlesham. 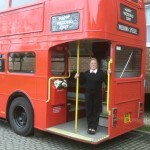 Conductress Paula, waiting for guests! 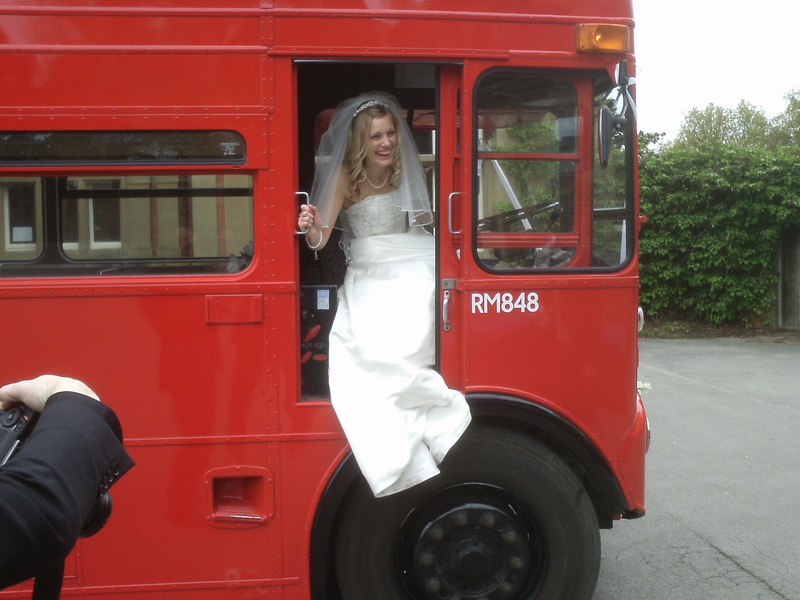 Hats off to Laura! 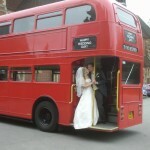 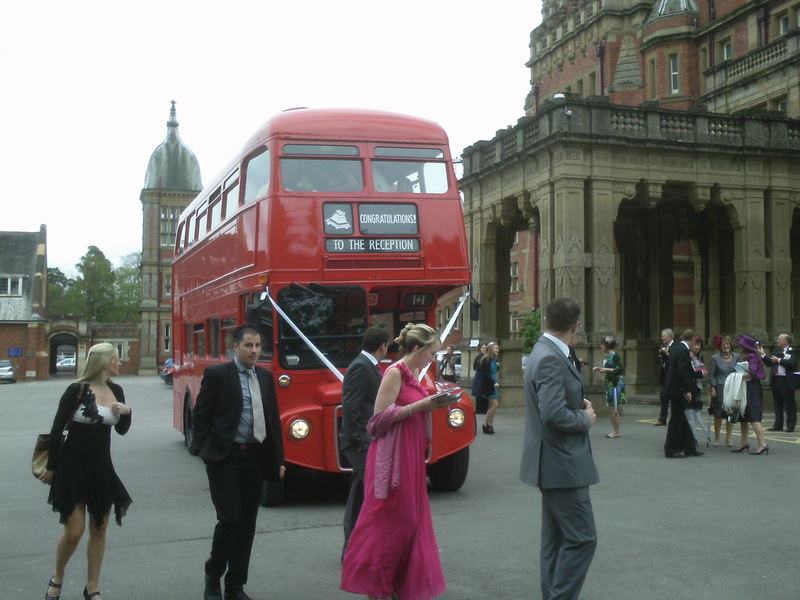 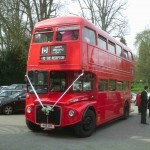 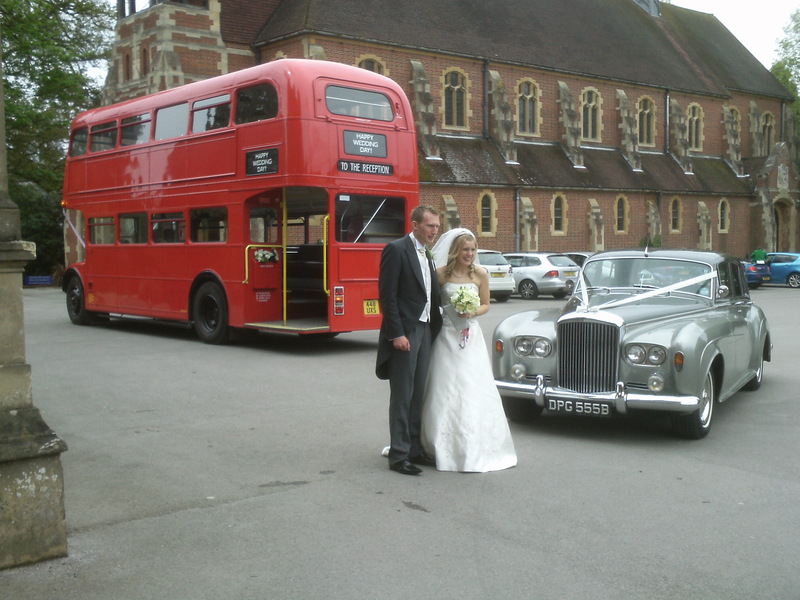 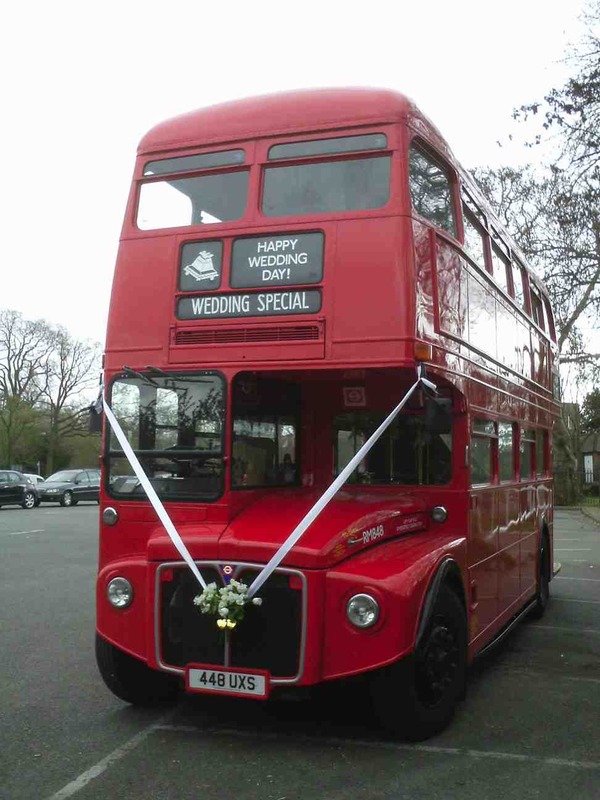 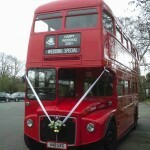 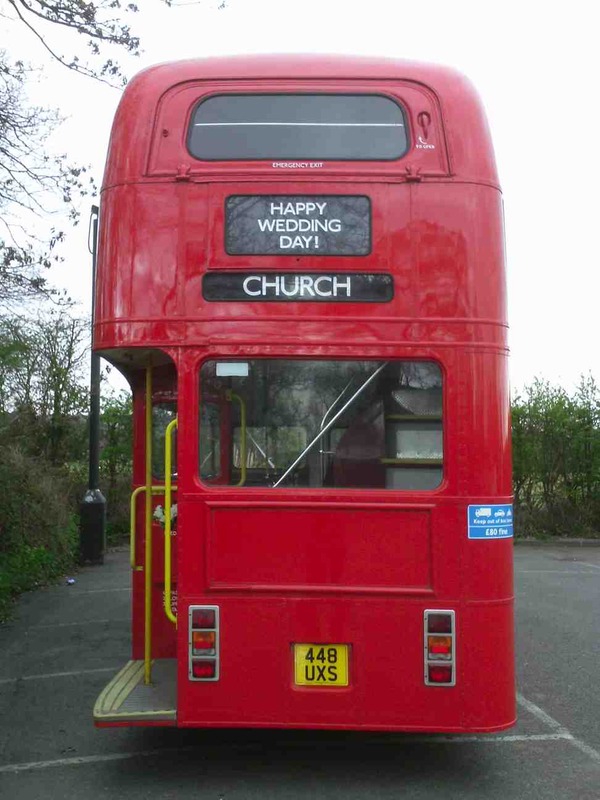 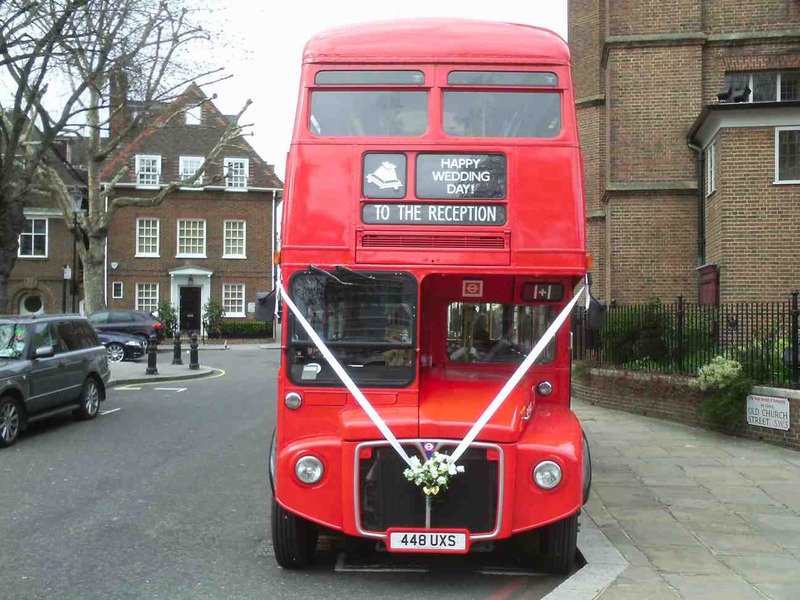 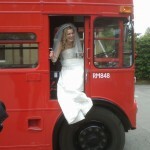 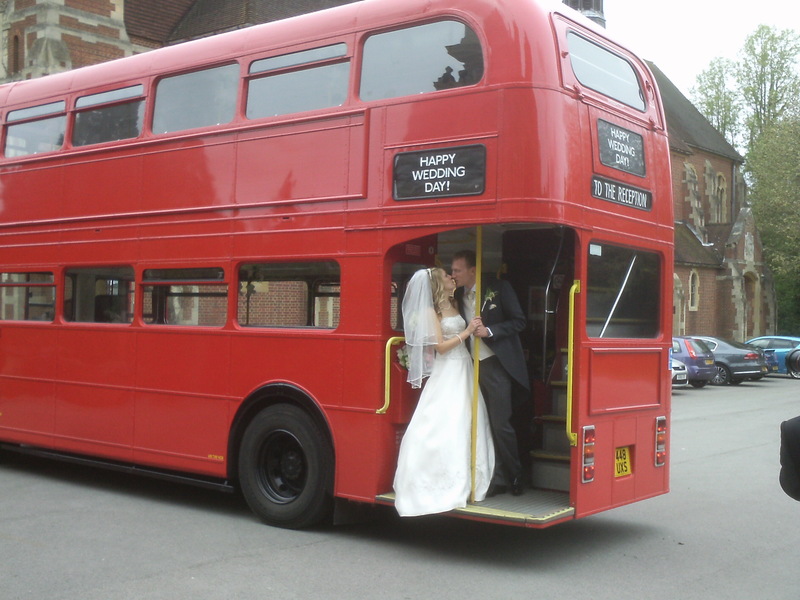 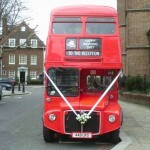 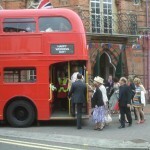 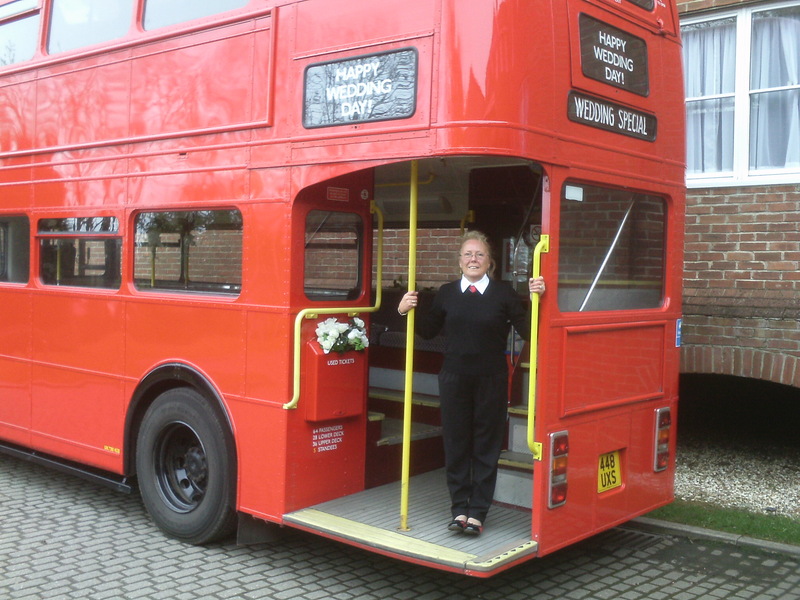 The first Bride to climb into the Routemaster’s cab!